As of this week, FOOTBALL SEASON IS BACK and I couldn’t be happier. This weekend marks the last weekend of 2018 without football to watch. That means for the next four months, On & Off the Field will have all the football coverage you could ever want. Today, I’m going to offer a few bold predictions for the NFL season. As the season progresses, I’ll be doing more prediction about the playoffs and conference/divisional finishes. Coming off a 9-7 season, the Lions are poised to improve and impress in 2018. Last year, the Lions split the season series 1-1 with the Vikings, beat the Packers, twice, (keep in mind Aaron Rodgers wasn’t playing), and beat the struggling Bears 2-0 on the season. Even with bad losses to the high-powered offense of the Saints and the Ravens last year, the Lions have a chance to set themselves apart from most of the NFC. With Matthew Stafford, Golden Tate and LeGarrette Blount running the offense on the field, the Lions will need more playmakers to step up if they want to see a good team have a great season. 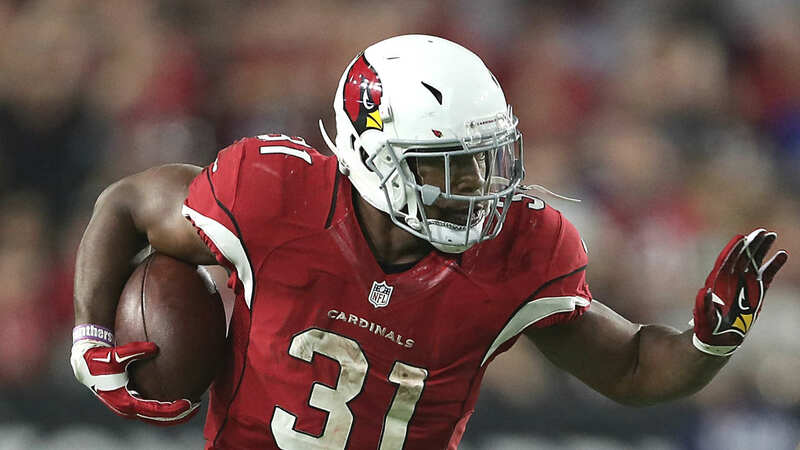 Despite the season-ending injury to star running-back David Johnson in the season opener last year, and losing Carson Palmer to retirement, the Arizona Cardinals put together a .500 season, finishing 8-8 on the year. Although Sam Bradford hasn’t been a consistent quarterback his entire career, with Bruce Arians at his side, and future Hall of Famer Larry Fitzgerald catching passes, alongside a growing defense with Chandler Jones and Patrick Peterson, the Cardinals have the roster to make a playoff run. With no experience as a professional, Barkley is looking to turn heads in the NFL, much like he has all offseason. For the time being, Barkley will be the workhorse for the Giants who only won 3 games in 2017. Alongside superstar WR Odell Beckham Jr, the Giants offense has the opportunity to come alive this season. With a mediocre defense, the Giants will rely on Eli Manning to lead the offense to victory on the field. Last season, Wilson accounted for over 95% of the Seahawks touchdowns. NINETY-FIVE PERCENT. He didn’t receive a single MVP vote. If that doesn’t make him the Seahawks MVP, I don’t know what will. The award is for league MVP, not team MVP. For Wilson to make the leap to league MVP contender, he’ll have to continue his play and lead the Seahawks to another winning record. Jimmy G has never lost an NFL game as a starter. You read that right. This offseason, Garoppolo signed a huge 5-year/$137.5M contract with the 49ers. 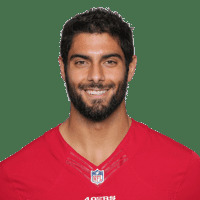 In his six games with the 49ers at the end of the 2017 season, Garoppolo went 6-0, threw for 1,560 yards, 7/5 TD-INT ratio and had a completion percentage of 67%, highest in the NFL in that period. He won’t take the 49ers to the playoffs right away, but he will have the best year of his career. The 49ers will come back towards relevance and Garoppolo will be the guy taking them there. After his National Anthem protest in 2016, Kaepernick was released from the 49ers. 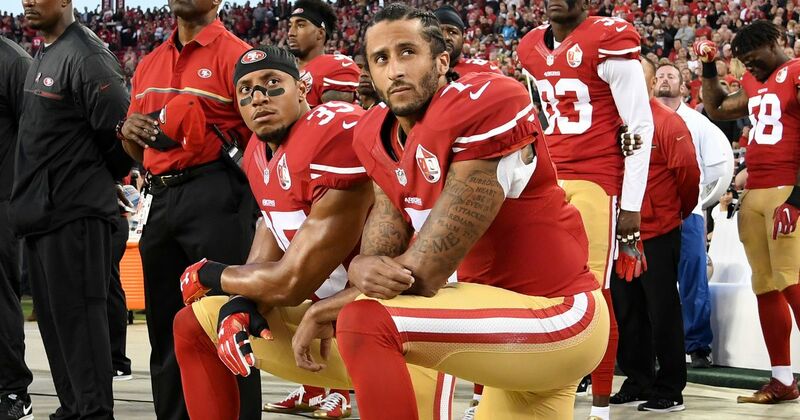 The protest, surrounding oppression and social injustice towards people of color, sparked a large issue within the NFL and its players. Since his release, Kaepernick has remained unsigned but still playing a role in the NFL. As this season progresses, expect Kaepernick to remain a model and find a way to make an NFL roster. Last year, two of AFC South teams made the playoffs and the other two had major injuries to their QB that hindered their seasons. 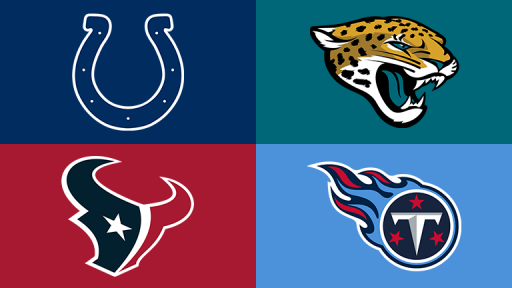 This season, assuming all four teams stay healthy, the AFC South will be the strongest division in the AFC. With a healthy Andrew Luck, the Colts can expect to go 11-5 again. The Texans can expect 10 wins behind a healthy Deshaun Watson and DeAndre Hopkins. The Jaguars are going to win 11+ wins and will have a top-3 defense in the NFL. The Titans are the question in the AFC South. Mariota was questionable in the playoffs last year, but with some early wins, they could make the division close as the season comes to a close. After nine years away from coaching football, Gruden is back in the Raiders organization as HC. Although he’s been involved in the team for many years (served as head coach from 1998-2001), Gruden is coming back to a very different NFL than he’s seen before. With Derek Carr and Amari Cooper, and recent acquisition Jordy Nelson, the Raiders offense is primed to make a playoff run this season. Earning 33 sacks last year, the Broncos have added some defensive star power this offseason. Drafting two unanimous first-team all-American linebackers (Bradley Chubb and Josey Jewell), the defense of the Broncos just got even better. The Steelers, Jaguars and Panthers were the only teams to surpass 50 sacks last season. With their defensive draft picks, the Broncos have the chance to see the same fate. You read that right. After coming off a Super Bowl run, TB12 and Bill Belichick may be on the final leg of the dynasty they built. Brady is 41 years old, but doesn’t show any signs of slowing down. However, with the suspension of Edelman for the first four games, the loss of Dion Lewis (RB), Malcolm Butler (CB), Danny Amendola (WR) and Brandon Cooks (WR), the Patriots are missing some key pieces from their success last season. You can’t ever safely underestimate the Patriots, but it’s called a BOLD prediction for a reason. There’s been a lot of talk about the Browns this season. The offseason rebuild has been impressive, and the potential for a solid season is there. Although they have yet to prove themselves on the field as a team, the Browns are all but sure to win at least one game–improvement from last year. Sure, the 7-9 Bengals were better than the 0-16 Browns, but that was last season. Expect the Browns to be within 2 games of .500 on the season and the Bengals to finish with less than 6 wins. After five straight 100 reception, 1,000 yard seasons, Antonio Brown is expected to continue his stardom and on-field success. Yes, he will have 1,000 receiving yards again, that’s not the bold prediction. Ben Roethlisberger will have another solid season, passing for over 4,000 yards. Next to Brown, Juju Smith-Schuster will have over 1,000 receiving yards as well. Last season, Juju only started seven games and played in 14. In those games, he brought in 58 receptions and got himself 917 yards. He’ll start all season and match Brown with 100 receptions and 1,000 yards for himself. Think any of these are too far fetched? Too bold? Let us know! Leave a comment or follow us on Twitter (@OnOffField) and like us on Facebook (On & Off the Field). Want to see our individual opinions? Follow our writers personally: @m_lash13 @kweeden2020 @Z_Nelsy. Next Which First Round Quarterback will Contribute the Most this Season?